Plot: A great-grandmother in her 80s is arrested by MI5 on the doorstep of her suburban home for treason. Disappointing, emotionally anti-climactic and ultimately just fairly average, Red Joan would have been better staying inside her paperback. 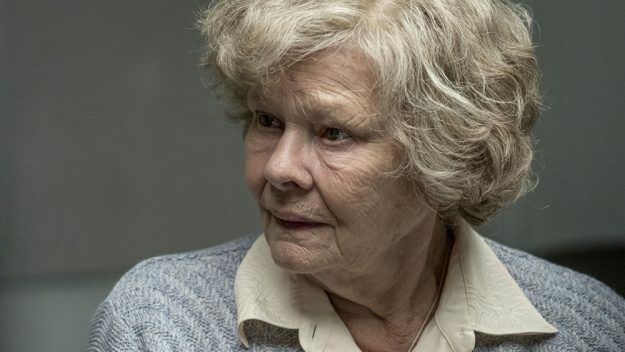 Red Joan presents a brilliant example of the most remarkable story being told in the most unremarkable way. A great-grandmother in her 80s being arrested by MI5 on the doorstep of her suburban home for treason. Her crimes, some 70 years earlier, being the disclosure of British atomic bomb secrets to the Russian intelligent services. And she nearly got away with it. And it’s based on real events. So, quite a big deal and quite a lot to work with. Unfortunately, the jeopardy is played out through a nauseating repetition of present-day interrogations and flashbacks to the 1930s. The emotional connection between these flashbacks and the present is disparately flat, lacking any sustainable impact, and feeling formulaic to the point of boredom. 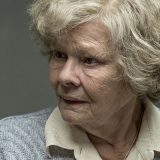 Even our dear-old-Dame Judi Dench is underwhelming here, more as a result of not being given enough to do rather than any dwindling powers of performance. This is an adaptation of Jennie Rooney’s 2014 novel of the same name, which was itself based on the real-life exploits of Melita Norwood. Maybe not every book can/should be adapted to the big screen. Certainly this one would be better suited as a three-part ITV drama and definitely not a cinematic experience.